James Francis Smith lived on Albemarle Street. He died on 27 October 1908. His son William Leslie Smith also served on Newtown Council. James Smith was a cattle dealer. He opened a business as a butcher in c1868. James Smith was a justice of the peace (JP). He was a life governor of Sydney Hospital; treasurer of Newtown United Friendly Society Dispensary for many years; and Director of Friendly Societies Association of NSW. He was chairman of Newtown School Board for 10 years, a trustee of Victoria Park and Chairman and active in Ancient Order of Forresters. He was an executive member of the Municipal Association from 1884 until 1887, 1889 until 1908, and its vice president from 1896 until 1908. James Smith was the member for Newtown 1885-87; the member for Newtown-Camperdown 1901-04 and the member for Camperdown 1904-07. James Smith was an alderman on Newtown Council in 1872-1910, representing Kingston Ward. He was elected acting mayor on 20 January 1879, after Fallick retired due to ill health on 14 January 1879. 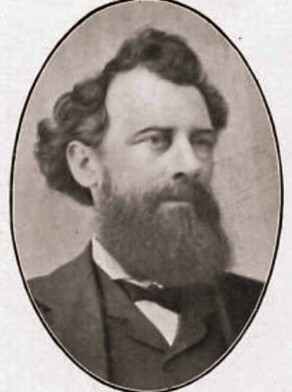 Smith was mayor in 1877, 1879, 1884-85 and 1896.